Want a nursery that’ll make you smile, even after being up all night? Go Yellow! Yellow is optimism, yellow is cheery and fresh. 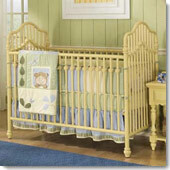 Yellow baby cribs inject a dose of sunshine in every nursery they grace.